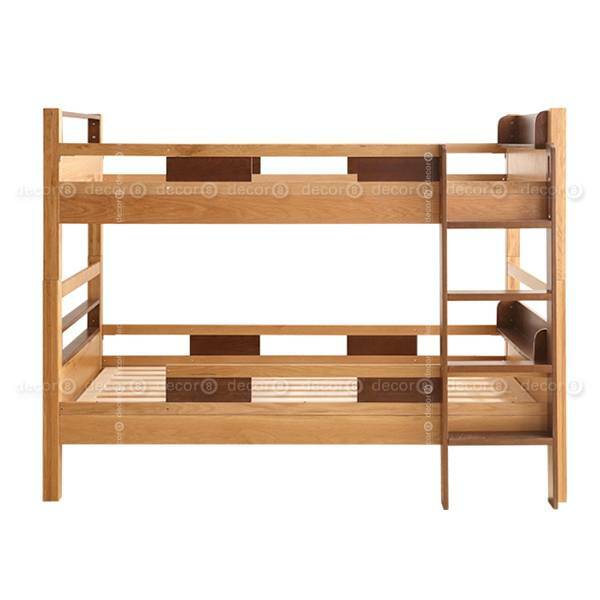 The Barney Solid Wood Kids Bunk Bed is no ordinary kids bunk bed. This luxury kids bunk bed and loft bed is a class of it own. 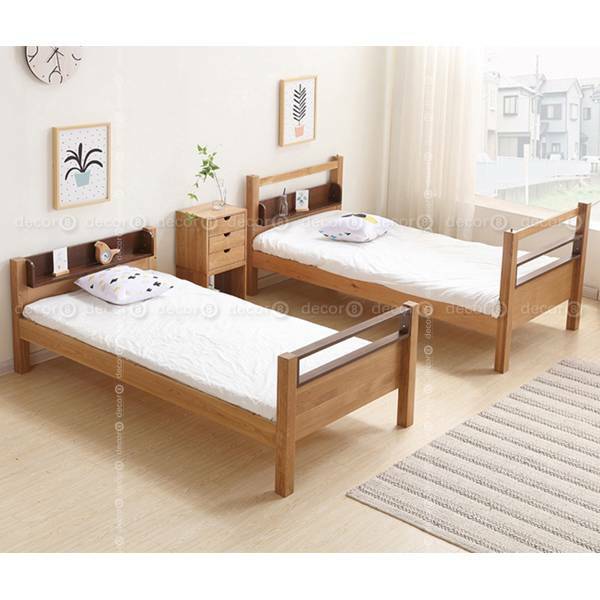 The frame, ladder and fence are made of solid oak wood, with solid pine mattress foundation. 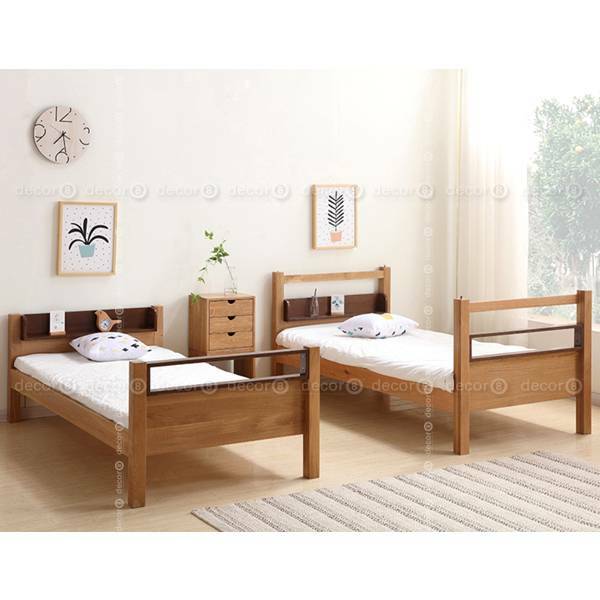 The oak wood frame is high quality and is available in natural oak finish with walnut accent. 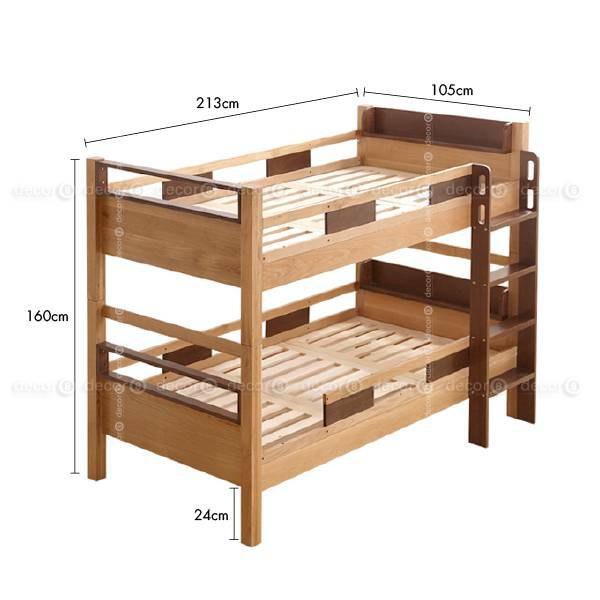 Sturdy and solid, this wood bunk bed works for mattress size 100cm x 200cm on both upper and lower levels. 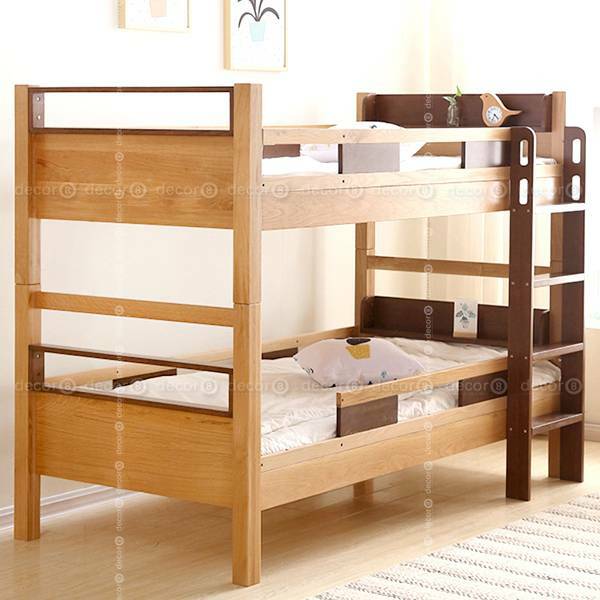 This ultra luxury bunk bed is a great addition to any kids bedroom. Simple to install and maintain. 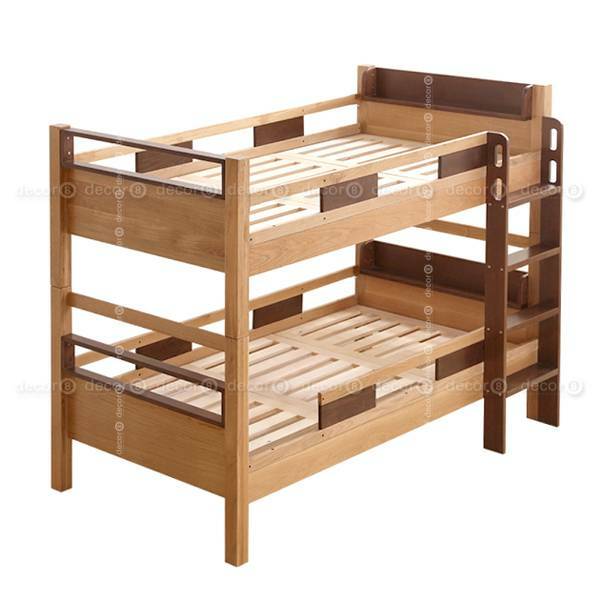 The bunk bed can also be dismantled to become two separate single beds. Versatile high quality design. 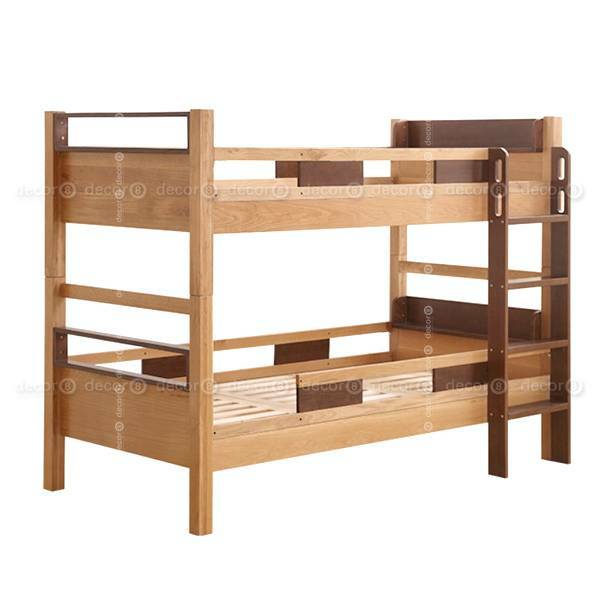 The Barney Solid Wood Kids Bunk Bed is the ultimate statement for any kids bedroom. The loft bed is also suitable for adult use. Bed frame only, mattresses are not included.